Test your taste buds, breathe the fresh air, and enjoy the surroundings of Plymouth Harbor. 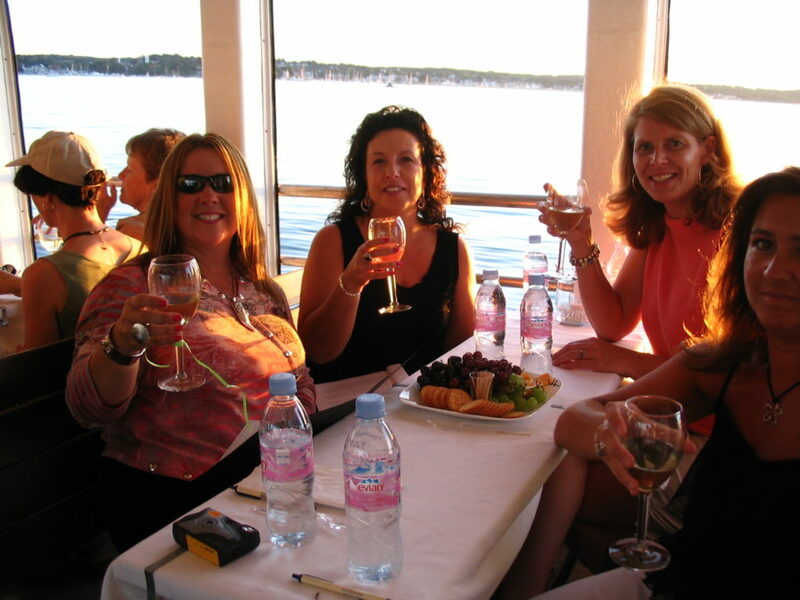 Each cruise will feature a particular theme focusing on wines from around the world. Along with a fantastic sampling of excellent wines and food, you’ll find interesting speakers sharing their knowledge about the origin, vineyards and history of each wine. Before the summer slips away, treat yourself to a special night out. To reserve your seat, please call our partner Pioppi’s at 508-746-1943 or visit their website and click on their Events Calendar to see the dates.